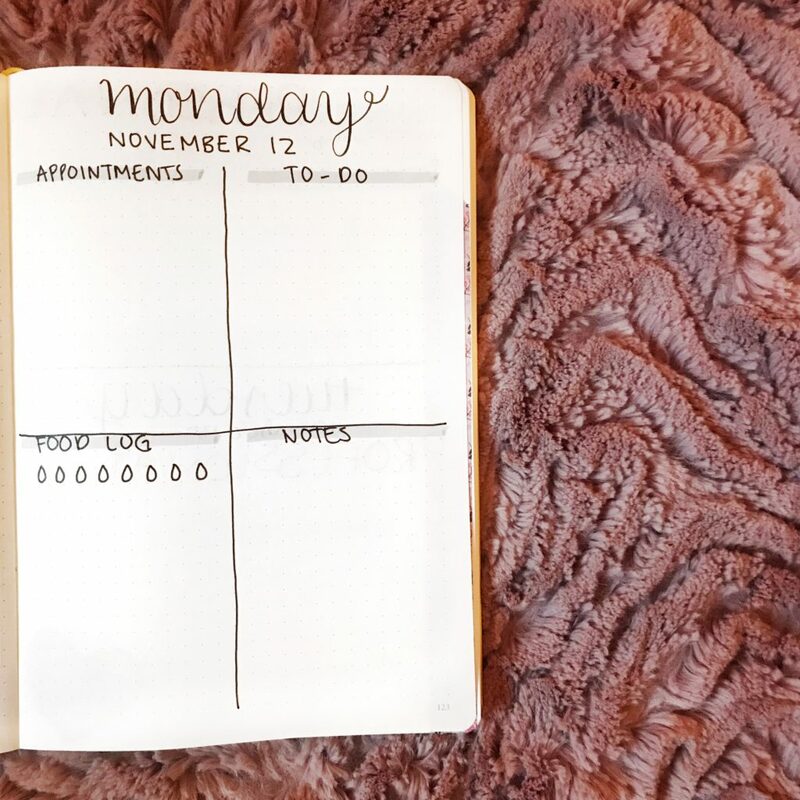 Have you ever had a day where you have so much to get done, and your weekly bullet journal spread just won’t cut it? 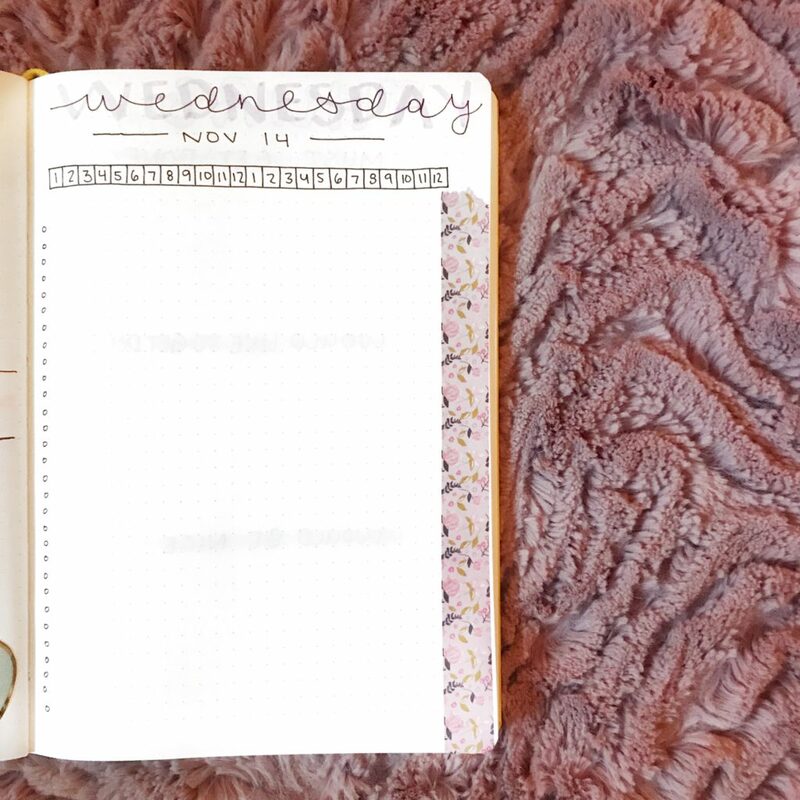 Sometimes you need to use a genuine bullet journal daily layout – one day on one whole page. Keep reading for 5 daily layout ideas, and you can recreate each one in under 5 minutes! 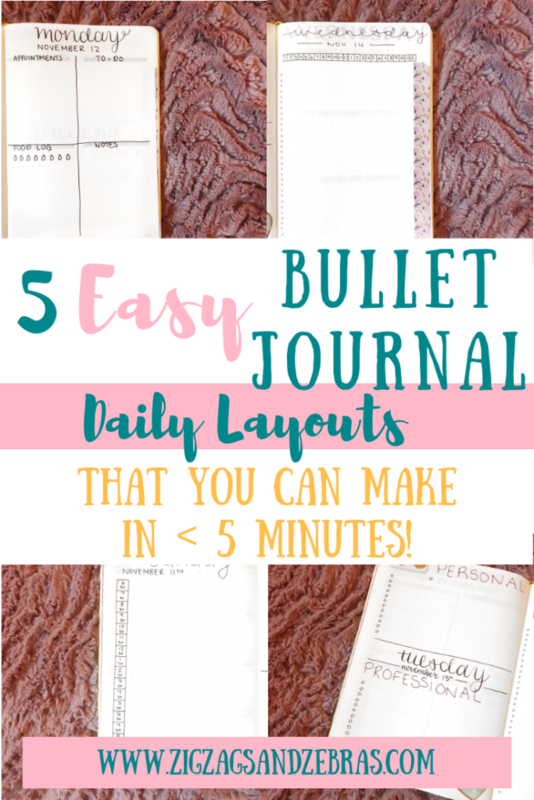 Bullet Journal Daily Layout Ideas: 5 Ideas in 5 Minutes! In this layout, the focus is solely on time blocking. I have really been playing around with the concept of time blocking recently, and I have to say it helps to segment my day and assign my tasks to certain times! In this type of spread, I block out my day ahead of time (colour-coded, of course) so that as my day goes on I know what I should be doing at each time. This is a great way to ensure that you get everything crossed off your to-do list! 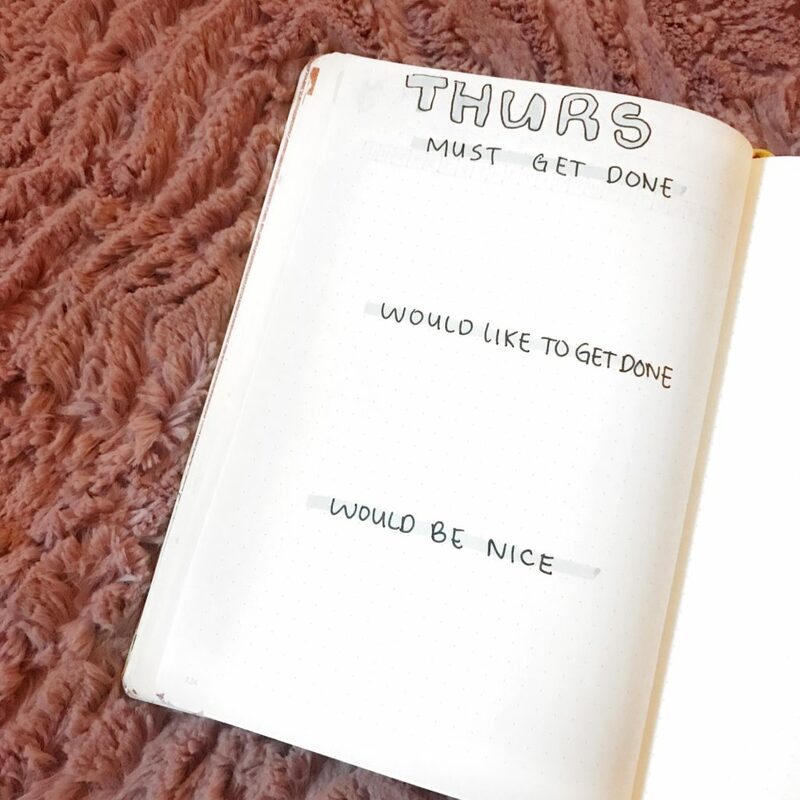 In this bullet journal daily layout I split the day up in to 4 quadrants. One for appointments, which is scheduled things like work shifts or meetings. The second square is for my to-do list, all the things I would like to get done that day. In the third square, I put a food log, where I can track water intake and what I eat that day. The final quadrant is just for notes – thoughts or ideas that come to me throughout the day. This is a simple daily layout in the sense that it is just a running task list. 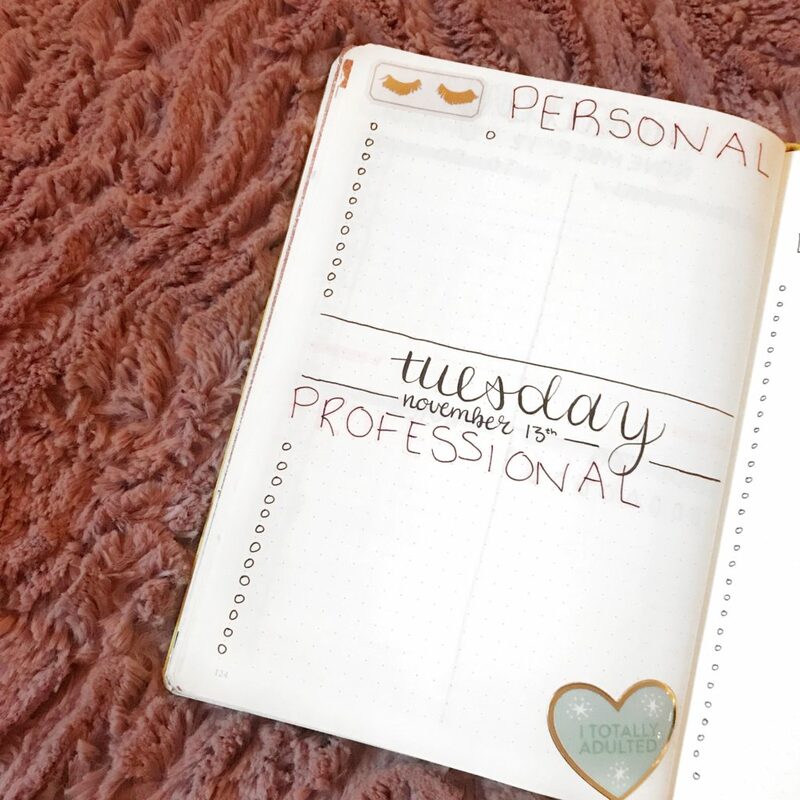 I’ve split the page up between personal and professional, I have set times in the day that I focus on work so having the to-do lists separated allows me to focus more clearly. 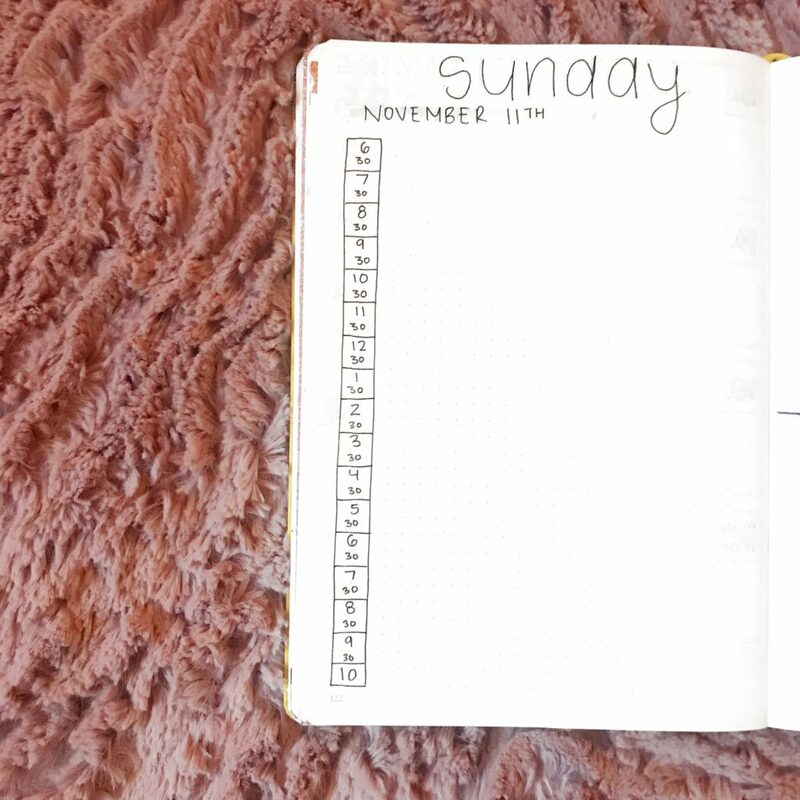 This bullet journal daily layout is super simple. I included a time tracker where I can fill in how my time was spent, as well as a long-running to do list. I threw in some washi tape for a bit of colour! In this final daily layout, I broke up the page (and to-do list) by priority. The things I MUST get done go up at the top, the things I’d ideally like to do are in the middle and the other things that would be nice go at the bottom. Do you ever utilize a full page daily layout in your journal? Let me know below in the comments!